Delhi based Indian national Uzma Ahmed met Pakistani man Tahir Ali during a two month trip to Malaysia last year. The two became friends and Uzma, in her early 20s, soon fell in love with him and got engaged. She in her consequent interviews termed Tahir a soft spoken and nice person who told her to come to Pakistan to meet his family. He then sent her a sponsor letter to help her obtain a visa, and she crossed into Pakistan via the Wagah border on 1st May. She reportedly got married to Tahir within a couple days of reaching Pakistan in Khyber Pakhtunkhwa province. On 5th May, the couple then reportedly traveled to the Indian High Commission in Islamabad to apply for an Indian visa for Tahir. But after entering the commission, Uzma refused to come out, and that is when this whole issue came to public light. Tahir claimed that she has been ‘held hostage’ by the Indian High Commission. Around 9th May, Uzma filed a petition in a local court and things slowly started unraveling. According to Uzma, she sat in Tahir’s car after crossing over from the Wagah border, where he gave her some medicine after which she became unconscious and woke up at 10 in the night. She was reportedly sexually assaulted, tortured, and threatened at gunpoint into signing the marriage papers. Tahir reportedly also took away her immigration papers. Uzma claims that she wasn’t aware that Tahir was already married and had 4 kids, and that she was not mentally prepared to marry him. She further claims that he kept assaulting and intimidating her in the coming days. On 12th May, Uzma reportedly petitioned the Islamabad High Court asking it to allow her to return to India. Her ‘husband’ didn’t sit quiet and also petitioned the court requesting it to allow him a meeting with Uzma which, which she subsequently refused. During the hearing it is reported that she had fainted and paramedics had to be called in but she soon recovered. She was finally provided relief by the High Court on Wednesday, which gave her back the immigration papers and told her she was free to return to India. Uzma reportedly has a daughter in India from an earlier marriage who needs immediate medical attention; this factors also worked in her favour. The court ordered the authorities to ensure adequate security for Uzma till she crosses Wagah border. Uzma – Welcome home India’s daughter. I am sorry for all that you have gone through. 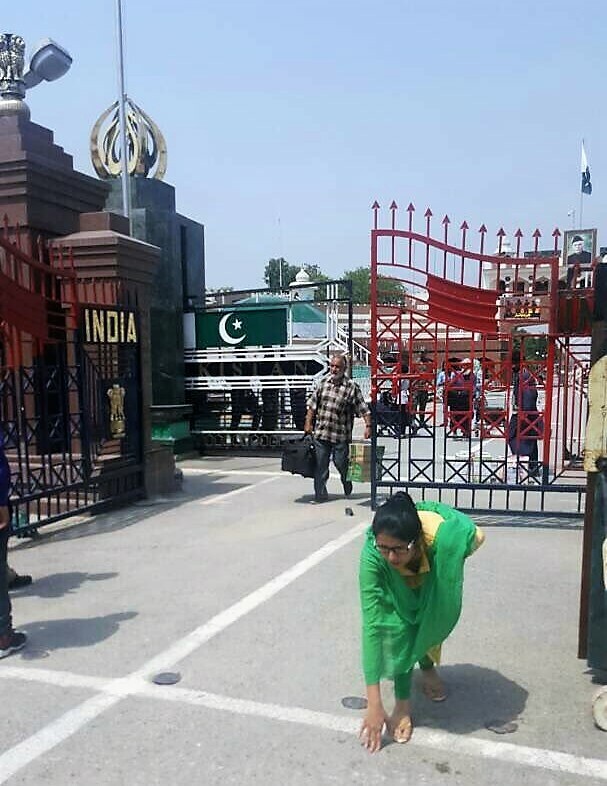 Uzma’s brother Wasim Ahmad too thanked Sushma Swaraj for her efforts and stated that the Indian government did more than what was expected from them. After coming back to India, Uzma addressed a press conference along with Sushma Swaraj and External Affairs officials, where she said that no Indian woman should marry in Pakistan as there is no freedom there. Meanwhile Tahir back in Pakistan is insisting that Uzma remains his wife as the divorce never happened. But with Uzma back in India, perhaps there is not much he can do. The NRC debate: India for Indians. How did that become so controversial? On the 25th of April, 2019, the Bharatiya Janata Party organized a roadshow in Varanasi where Prime Minister Narendra Modi was the centre of attention.